HERETHERE, 1" thick steel plate, HERE at 9'H. X 25' long , THERE at 9'H X 32' long. 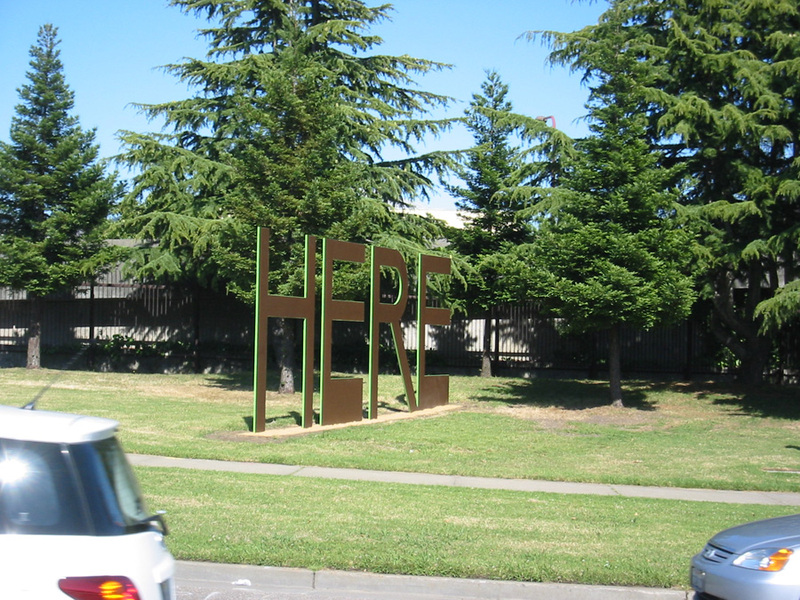 Commissioned by the City of Berkeley requesting artist designed sign for entering Berkeley. 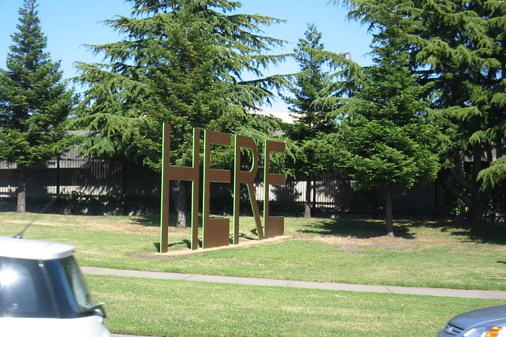 "HERE" lets people know they’ve arrived in Berkeley. 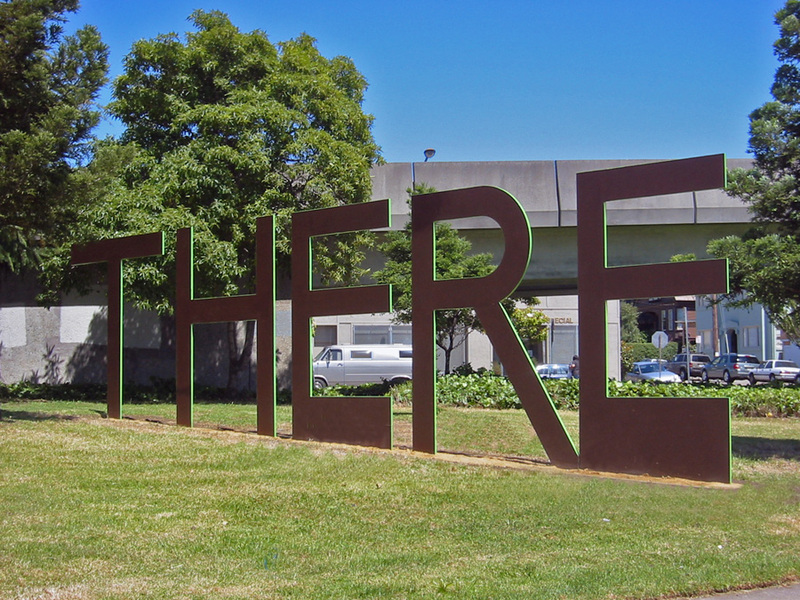 "THERE", lets people know they’re arriving in Oakland. Berkeley, CA. In collaboration with Katherine Keefer.